In this episode I talk about the difference between ‘expect’, ‘hope’ and ‘wait’. I give a few examples of how you can use them and discuss the difference in meaning between these three tricky words. In this episode I talk about collocations that we can use to describe the weather. I basically give examples of collocations and short phrases that can be used to talk about the weather and discuss their meaning. 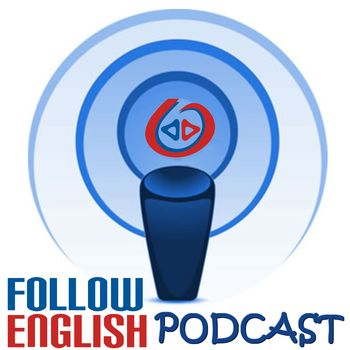 In this episode I talk about the metaphorical nature of phrasal verbs. I start by discussing what I mean by metaphorical nature and then I move on and give exmples to illustrate that. I basically read some examples and make my comments and discuss their meaning. In this episode I talk about the difference between ‘inheritance’ and ‘heritage’. I give a few examples of how you can use them and discuss the difference in meaning between these two tricky words. In this episode I talk about collocations with the word ‘news’. I basically give examples of verbs, prepositions and adjectives that collocate with ‘news’ and discuss their meaning. In this episode I talk about collocations that we can use to refer to ‘seasons’. I start by briefly discussing the importance of collocations. Then, I give examples of verbs, prepositions, etc. that collocate with ‘seasons’ and discuss their meaning. In this episode I talk about collocations with different nouns that we use to refer to ‘meals’. I start by briefly discussing the importance of collocations. Then, I give examples of collocations with nouns that we use to refer to ‘meals’ and discuss their meaning. In this episode I talk about Prescriptivism and Descriptivism. I start by discussing the main idea behind these two approaches to grammar. Then I move on to talk about how these views are important in different contexts and how we as learners can make use of the rationale behind them in different stages of our learning process.